These are super yummy and super healthy. My friend gave me this recipe who is a fellow mom and I just had to try it out. I always love finding new ways to sneak in healthy foods any way I can. It’s also a great way to get your kiddos to eat more veggies without them knowing. FYI don’t tell your kids there it spinach in these. 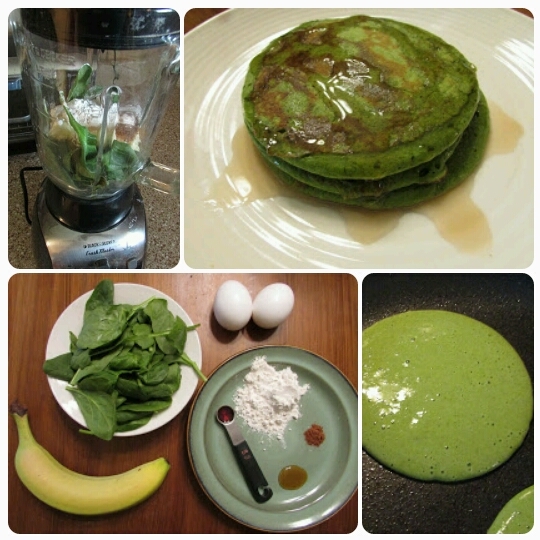 Just call something cool like Hulk pancakes or for the girls Tinkerbell pancakes. Cook on the stove top.